Toolern Vale and District Primary is a small school of 180 students located 40km north west of Melbourne. 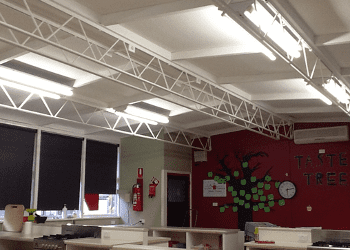 The school engaged Ecovantage to supply and install 182 new LED tubes to replace their old inefficient halogen fluorescent lighting. The long lifetime of the LED tubes means the school’s savings will extend for decades in reduced energy costs and non-existent maintenance costs. This will allow them to save $16,374 over the lifetime of the lights.